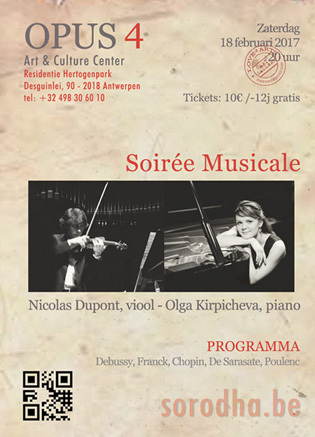 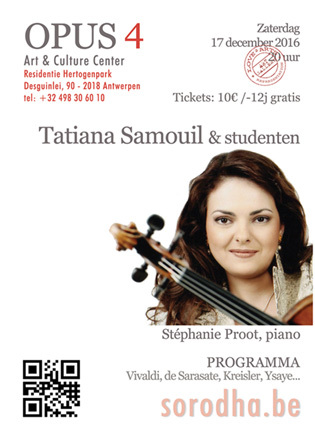 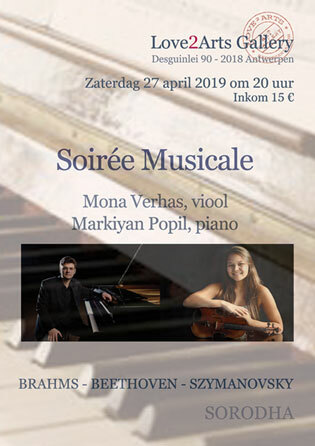 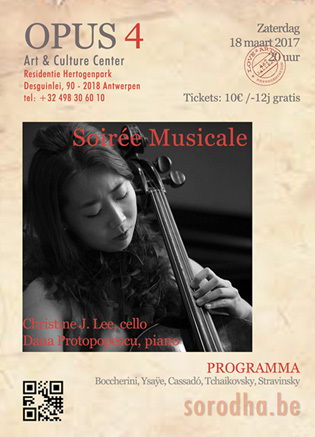 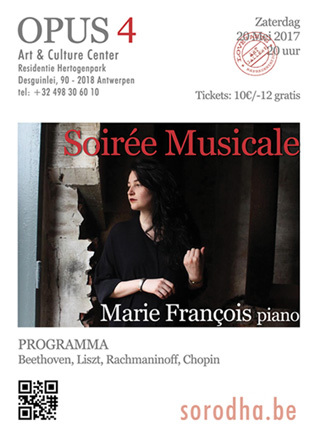 Tatiana Samouil & students will be performing works by Vivaldi, de Sarasate, Kreisler, Ysaÿe, etc. 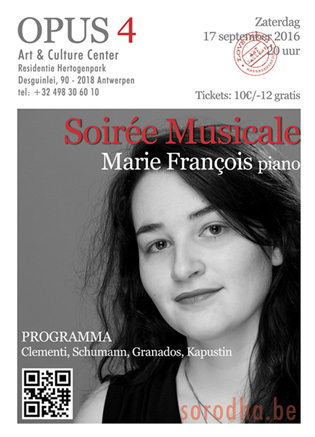 Piano accompaniment by Stephanie Proot. 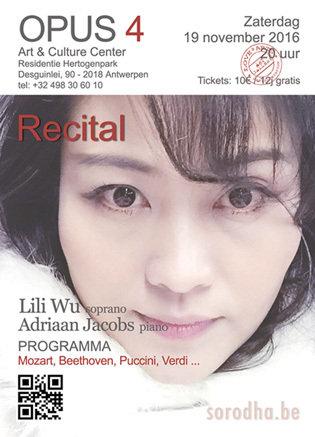 Lili Wu (soprano) and Adriaan Jacobs (piano) will be performing works by Mozart, Beethoven, Puccini, Verdi, etc. 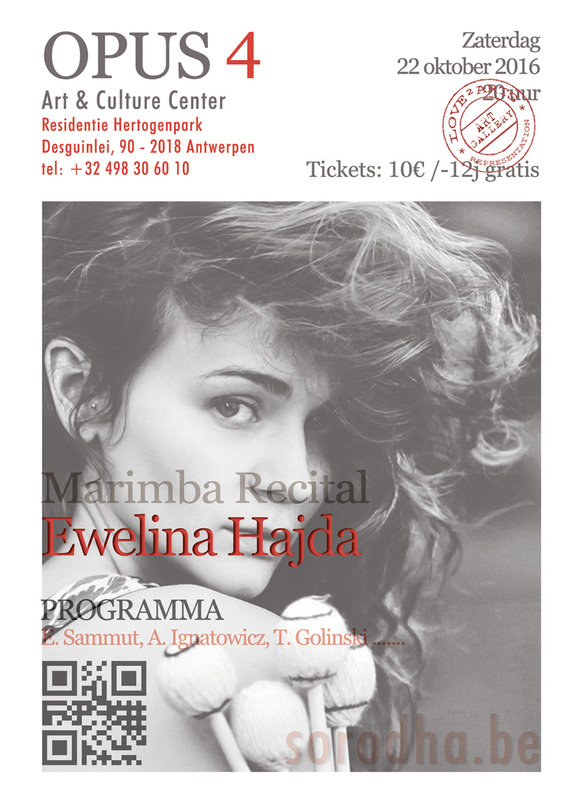 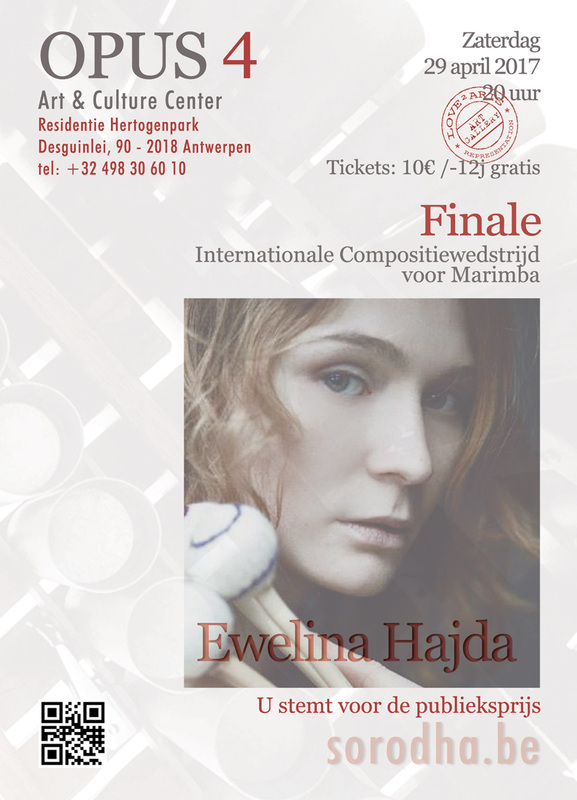 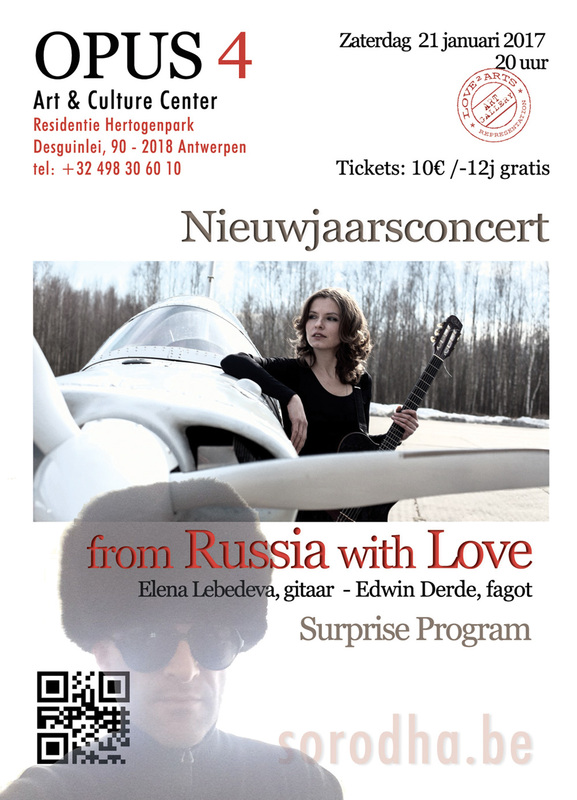 Ewelina Hajda (marimba) will be performing works by Sammut, Ignatowicz, Golinski, etc.